A review of the Travelers Health Insurance Company leads to Travelers Insurance Company. While the number of health insurance products sold by Travelers Insurance is somewhat limited, there are dozens of other policies available for large-scale employers, small business owners, and individuals. First known as the Saint Paul Fire and Marine Insurance Company, this insurance provider got its start in the year 1853. 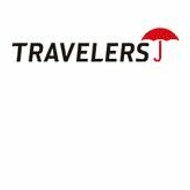 Today, Travelers Insurance is one of the largest insurance companies in the insurance industry. Type in your zip code to get start on your health insurance quotes search! Customers that want to call the Travelers Insurance Company should first contact the customer advocacy department at 1-866-336-2077. From there, they can be transferred to a customer service representative that can best answer their questions. Workers compensation coverage and accidental death insurance is sold by the Travelers Insurance Company. As of now, there are no primary health insurance policies offered. Professionals working in the real estate, legal, accounting and other private sectors can purchase customized liability insurance policies from Travelers Insurance Company. Some of Travelers’ services include risk control assessments as well as structured educational and training programs designer to lower insurance risks. Business owners, executives, and department heads also can purchase insurance products from the Travelers Insurance Company that are designed to help mitigate potential financial liabilities. Accidental death coverage and worker’s compensation insurance policies are usually sold to companies that work in high-risk industries such as construction and manufacturing. The Travelers Insurance Company is one of the first businesses in the insurance sector to introduce career training, networking and recruiting programs with social media. This allows job seekers as well as existing employees to better connect to the Travelers Insurance Company on a more intimate level. In addition, college students and recent college graduates can work with the Travelers Insurance Company several different ways. Through both internships and entry-level positions, students and recent graduates are able to get started on their careers in the insurance industry right away. Working as an independent insurance agent for the Travelers Insurance Company requires you to have at least a few years of experience as well as having access to database of prospective clients. Insurance agents that are a part of an established agency have a much better chance of being appointed by the Travelers Insurance Company. An online application must be submitted before independent insurance agents and brokers are considered for appointment by the Travelers Insurance Company. Agents can elect to sell commercial insurance products or policies designed for individuals and businesses. The Travelers Insurance Company is accredited with the Better Business Bureau and maintains an A rating. Although nearly 300 complaints were filed with the BBB against the Travelers Insurance Company in the last few years, it is important to note that this is a very large company. Some consumer review based websites have rated the Travelers Insurance Company highly while others include complaints about insurance claims. Employees working at the Travelers Insurance Company generally approve of upper management and seem to be largely satisfied with their jobs. Look up your online health insurance rates after you submit your zip code!